Our Solid Hickory Collection features board widths ranging from 2 1/4" all the way up to 8" wide! One of our top-selling product lines. 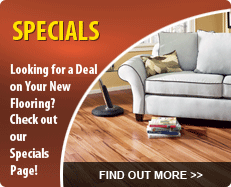 Choose the industry standard lengths, or upgrade to our premium long length hickory floors! Our featured laminate flooring line, Balterio is leaps and bounds beyond their competitors, offering the most realistic wood-looks, longer planks, and better warranties at comparable price points. Browse the entire line of Balterio premium European laminates and buy today! Cork flooring is an incredibly eco-friendly flooring material that just so happens to be beautiful, easy to install and durable too! WE Cork is a leader in the cork flooring industry, offering one of the largest varieties of cork floors in the industry today. Dozens of colors and patterns are available on both plank and tile platforms, with easy floating installation in any room of your home! Click here to shop for WE Cork now! 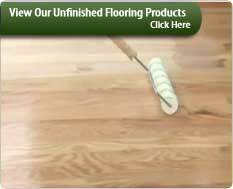 We offer all types of flooring at ridiculously low prices. Our website is designed to save you hundreds, or even thousands of dollars on your next flooring purchase by combining massive amounts of flooring knowledge and products under one roof, meaning flooring.org the one single place where you can learn for free & save hundreds when you buy your new floors! 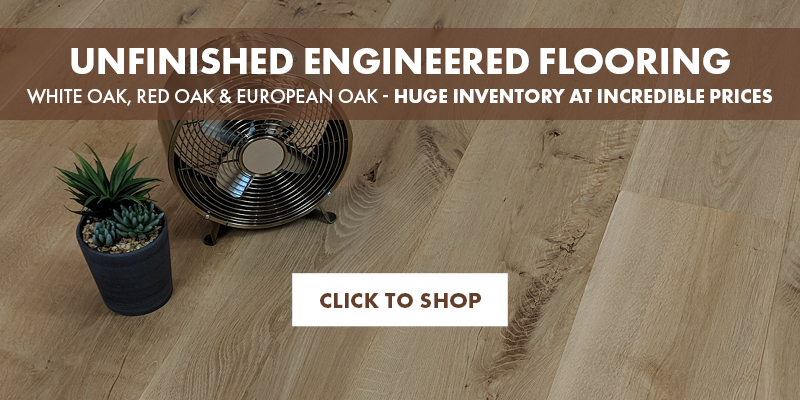 All of the products you will find here on flooring.org are brand new, first quality flooring with full manufacturer's warranty! We offer the best brands in every major category of flooring, including hardwood, laminate, cork, vinyl, bamboo, area rugs, tile, stone, carpet tiles and even staircase materials. Hopefully, you can find exactly what you're looking for using the menu options above, but in case you don't see what you came for, please call us, or chat live with one of our representatives now! Wood floors are really the foundation on which Flooring.org is built. 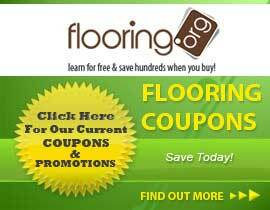 Hi, I'm Eric Hurst, the founder of Flooring.org. I got my start in the flooring business in 1998 when I began sanding, finishing and installing hardwood floors in the family business. Now 14 years later, with the help of some great people on my team, and the grace of my Lord & Savior Jesus Christ, Flooring.org is continuously growing as a leading source for hardwood floors on the internet. Hardwood flooring is considered by many to be the most desirable type of floor to be had. Because wood flooring is a natural, organic product, literally there are no two boards alike. Every single plank of a wood floor is unique, never repeating a grain, and every piece varies in color, however slightly, from the next. Because of its natural organic properties, wood is the perfect canvas upon which to create a totally unique flooring product. Whether the wood is stained (nearly any color imaginable can be achieved with wood stains and aniline dyes) or textures the wood using methods like hand scraping, distressing or wire brushing, the designs that can be achieved with hardwood floors are virtually limitless. If you haven't already, take a moment to browse our selection of hardwood flooring products using the menu above. You'll find a huge selection of first quality wood floors from reputable manufacturers at prices that are more than competitive. We're also confident that you'll find the customer service experience at Flooring.org to be unmatched by any other flooring dealer, either local or online! 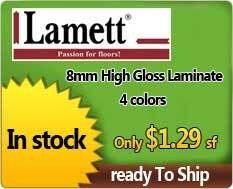 We offer a large selection of laminate flooring from several major manufacturers. Laminate has become a prominent flooring option for residential and commercial space because of its durability and it's overall affordability including lower labor and material costs compared to most other types of hard surface flooring. We offer first quality laminate floors from trusted names like Armstrong, Balterio, Bruce, Quickstep, and Home Legend Laminate. Some things to consider when shopping for laminate floors are durability (verified by an "AC" rating from 1 to 6, with AC6 being the most durable), price (be sure to shop around) and of course style. One thing to keep in mind with laminate is that while it is very durable and scratch resistant, it is also a "throw away" floor, meaning once it has worn out, there is nothing you can do but throw it out and replace it. So if the budget allows, you may want to consider investing in a real wood floor that can be sanded and refinished when it starts to look worn. Did you know that Bamboo is actually a grass? Well it's true, bamboo is technically a wood, however, it is harder than some woods, making it viable option when considering your new flooring material. There is a huge variety of bamboo flooring on the market, so be careful and do your research to avoid ending up with an inferior floor made from prematurely harvested bamboo, or finished using a poor quality finish that will scratch too easily. If you choose a bamboo floor from a reputable manufacturer like Wellmade Bamboo, Hawa Bamboo or Home Legend Bamboo, just to name a few. Since bamboo floors have become so popular in the last decade, the variety of designs available on this renewable platform have really exploded. Bamboo floors are now available in every style you could find in any wood floor, and then some! Bamboo floors come in hand scraped styles as well as wire-brushed, french bleed staining techniques, any color you could possibly imagine, and a variety of different thicknesses and construction types. There is also a bamboo floor to fit nearly any budget, and there is a bamboo flooring product to fit almost any level of installation skills for the do-it-yourselfer! Cork floors have increased their market presence dramatically over the last several years. Because they are eco-friendly and highly renewable, they are a great choice for "green" flooring. When the cork is harvested, it does not kill the tree that it came from, and more cork grows in its place and the process can repeat itself many times, making cork one of the world's most renewable resources. Cork flooring is now available in both tiles and planks, so you can create a plank floor look like that of a hardwood floor, or a tile look like that of a marble or porcelain floor. Cork comes in a variety of different patterns which are made by the different methods of processing and compressing the cork after harvesting. Some of the more reputable cork floor manufacturers include WE Cork, APC Cork, Home Legend Cork and Wicanders to name a few. You can shop and compare cork floors from these, and other manufacturers by visiting our cork flooring section. And of course, we are available by telephone or live chat to answer your questions! While there are a few types of flooring that are growing in popularity in recent years, there is no other category of floor materials that is growing in popularity at the pace that Vinyl flooring is. Recent developments in printing technology have enabled manufacturers to make vinyl floors that are more beautiful, and more realistic in comparison to the materials they emulate; namely wood and tile. The main types of vinyl floors on the market are Luxury Vinyl Tile (LVT) and Vinyl Plank (pretty self-explanatory). LVT is used primarily in commercial applications like hospitals, schools, hotels, assisted living facilities and really any public building that needs flooring that is durable, beautiful and easy to maintain. For residential use, the vinyl plank is the primary choice as of late. Vinyl Plank is available in a huge variety of wood prints to emulate nearly any wood flooring product you might find. Vinyl Plank floors are great for the do-it-yourself installer, as most of this type of flooring can be installed using the floating method (click together) or peel and stick, both of which are pretty easy installation methods. Stone tiles have been a popular flooring material for literally thousands of years. Stone is readily available in many different compositions such as marble, travertine & granite and is harvested from many different parts of the world. Ceramic & Porcelain tiles are man-made products with a natural stone image printed on the surface, providing a more economical alternative to real stone floors. Tiles are installed using thin set mortar, and a variety of different types and qualities are available to choose from. Thinset is spread to the subfloor using a notched trowel, and then the tiles are set in place. While tile is definitely not the easiest type of flooring to install, it is definitely a project you can tackle with the right amount of time and patience. The odds are you know someone that has installed tile floors before and they could help you, or at least offer some pointers. One of the smartest inventions in the history of carpeting is Carpet Tiles. I think we've all had that moment where you've watched in horror as the red juice slips out of your child's hand, or the dinner plate slides off the table face down on the carpet. And we all know that those stains seem to always rear their ugly heads no matter how you go about cleaning them. Well thanks to carpet tiles, that accident doesn't have to ruin your entire floor! Just pull up the affected tiles, and drop new ones in! You can do the carpet tile replacement yourself, and you can save thousands of dollars by not replacing your entire carpet just because of one accident. If you've faced the fact that your staircase is out of date and in desperate need of some remodeling, we have the right products to get your staircase brought up to date, without sending your bank account down the stairs. We carry stair parts in a huge variety of woods including oak, hickory, maple, Brazilian cherry, Brazilian walnut, tigerwood, Brazilian teak and much more! 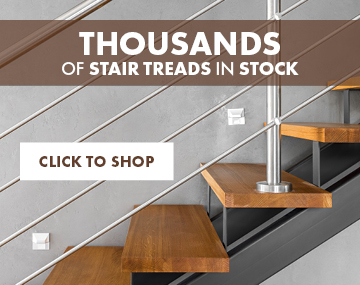 We have everything you need to update your staircase including treads and risers, stringers and skirtboard, handrail, balusters, and accessories. If the only part of your staircase that needs a facelift is the balusters, you may want to consider using our iron balusters to dress up your stairway easily and affordably. We offer a huge selection of styles and colors and our prices on iron balusters are beyond competitive, making purchasing your new metal spindles from us both easy and cost-effective!